On the morning of October 7th, Union leader John Lawson and Mother Jones rallied strikers at the Ludlow colony, and in the afternoon company guards near the site exchanged gunfire with miners. The following day, hundreds of shots rang out during a three-hour battle that resulted in injuries to one guard and two Greek strikers. A miner working as a cowboy at a local ranch died in the cross-fire. During the same incident, bullets entered houses of employees of the Colorado & Southern and shattered windows of the railroad depot. John Lawson, who was present during the conflict, disarmed many of the angry miners and tried to pacify the women and children, who were “running about the tent colony screaming frantically” during the fight. Afterward, the local sheriff called the Colorado National Guard in Trinidad requesting as many troops as possible to come to Ludlow and be sworn in as deputies. However, by the time the troops arrived, the conflict had ceased and the Guardsmen found no reason to stay. John Lawson then traveled to Denver to meet with Governor Elias Ammons and convince him that the newly-hired company guards would escalate the violence and encouraged him to prohibit the hiring of such men in other parts of the state. Six days later, on October 17, strikers and deputy sheriffs exchanged gunfire at the Forbes Tent Colony south of Ludlow. At this time, the deputized Baldwin-Felts employees tested their Death Special on the tents. One striker died, a mine guard received wounds, and a boy and girl were hit by bullets. 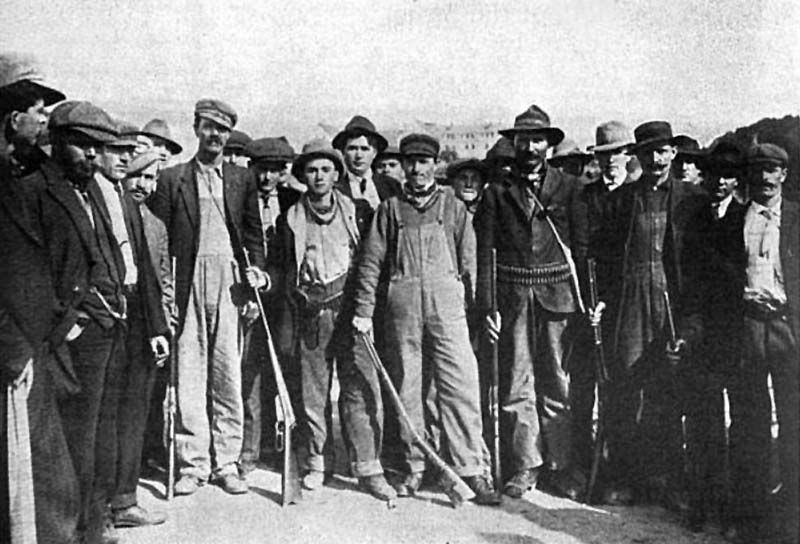 On October 24, 1913, mounted mine guards fired upon a group of strikers and their families who were heckling men heading to work at the Walsen Mine, resulting in the deaths of three protesters. As word of these incidents spread through the other tent camps, fear increased, and the miners at Ludlow vowed that no guards would be allowed near enough to their campsite to use the Death Special. Ludlow strikers believed that company guards planned to “wipe them out” and subsequently, a mine guard was killed near the Ludlow colony. Strikers and guards then exchanged shots for several days. Finally, one of the guards sent a telegram to Adjutant General John Chase, the commander of the Colorado National Guard. In the meantime, strikers began to attack the mines at Berwind and Tabasco, firing into company houses and using dynamite bombs to destroy mine facilities. One guard died, and two children and four strikers were wounded. As a result, CF&I ordered the removal of women and children from the communities it owned in the area. 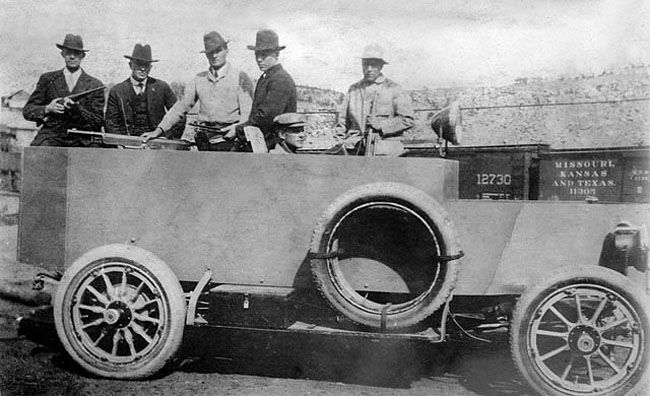 On October 28, 1913, Governor Ammons responded by sending National Guard troops to the strike zone, assuring both the union leaders and the mine owners, that the troops would remain impartial and focus on protecting property. The soldiers established an encampment across the railroad tracks southwest of the Ludlow Tent Colony. 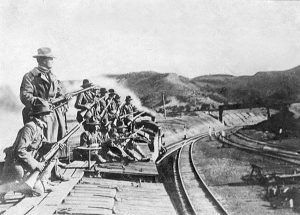 In one of their first actions, troops attempted to confiscate all of the arms and ammunition from both the strikers and the mine employees. In addition, coal company representatives were told to discharge their guards. However, the people at the Ludlow colony withheld the majority of their weapons. But, for several months afterward, no strike-related deaths occurred. When the troops first arrived, Ludlow colonists were initially friendly, but over time, the cooperation turned gradually to one of mistrust as Adjutant General John Chase imposed a form of military rule in the area, making arrests and undertaking frequent inspections at the camps. The atmosphere worsened in November when the governor allowed soldiers to begin protecting imported strikebreakers. By the early part of 1914, the production of coal was sufficient to meet the company’s requirements, and there was no general closure of mines in the area. 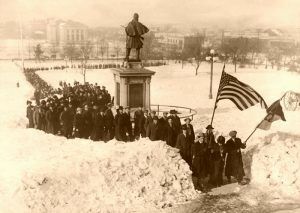 Mother Jones and 600 miners marching to the State Capitol at Denver, Colorado, to present their grievances to Governor Ammons regarding sending militia to the Southern Coal Fields. Throughout the strike, state and federal officials attempted to bring both sides of the dispute into an agreement but the coal companies spurned this effort, believing it provided a form of union recognition. More meetings followed where most of the union demands were met, but the coal companies once again rejected the union’s right to address ongoing grievances. 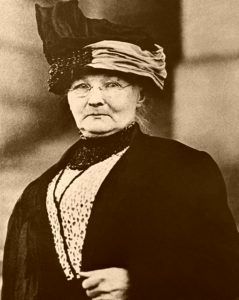 During this time, Mother Jones visited Ludlow to rally miners several times, and state and local authorities believed she incited unrest, so much so that Colorado Governor Ammons threatened to have her jailed or deported to keep things under control. She departed Trinidad on January 4, 1914, stating, “They can’t keep me from my boys.” General Chase ordered his men to arrest and detain her if she came back, which happened a week later. She was then detained at Trinidad’s San Rafael Hospital, where she was held incommunicado for nine weeks, gaining nationwide publicity. National attention again turned to Colorado in February 1914, when a subcommittee of the U.S. House Committee on Mines and Mining inspected the strike district, talking to miners, union leaders, coal company officials, and members of the National Guard. Five congressmen also visited several areas where violence had occurred. When the body of a non-union worker was found on the train tracks near Forbes in early March 1914, an investigation led to the tent colony, where a number of men were arrested. On March 10, mounted members of the National Guard took down and removed the tents occupied by the men at Forbes and ordered all the strikers to leave the camp within 48 hours and take their possessions with them. 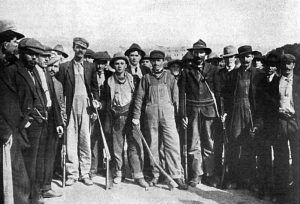 Union officials immediately protested the Guard’s actions and issued an advisory to striking miners in the coal district to arm themselves to protect their lives and property. The union also urged the tent colonists to resist any attempt by company employees or the National Guard to remove them from the sites leased by the union. In Denver, Governor Ammons stated he had not ordered the tents to be taken down, and he assured the union that no effort would be made to deport strikers. However, on March 27, the National Guard prevented a group of union members from rebuilding eleven tents at the Forbes site. Upon hearing this, the Ludlow colonists expanded the cellars under their tents and prepared for the colony’s defense. As the state troops’ occupation of the strike zone dragged on into its sixth month, many professional members of the National Guard asked permission to leave the strike zone and return to their jobs, schools, and families in the Denver area. Because the military presence had been effective in stopping the killing in the area and expenses were mounting, Governor Ammons began to gradually withdraw the troops replacing them with previous camp guards and mine employees. By April, this prompted George P. West to report to the U.S. Commission on Industrial Relations: “the Colorado National Guard no longer offered even a pretense of fairness or impartiality, and its units in the field had degenerated into a force of professional gunmen and adventurers who were economically dependent on and subservient to the will of the coal operators.” By mid-April 1914, only a small contingent consisting of less than 50 soldiers remained in the strike zone, most of them stationed in the Ludlow area.